Yeo Jin Goo's acting is insane. I didn't realize that Yeo Jin Goo was just acting in this scene. He was just the King, Lee Hun. His body tremors, voice, gaze.. wow... I watched without breathing. The real king is crazy, but he seemed pitiful too. That's probably because I was looking at him from the Chief Royal Secretary's point of view... People were calling him an illegitimate child since he was young. He felt guilty killing his mother and his brother, so he has hallucinations and got addicted to drugs. In the end, he went crazy, the woman he love turned away from him, everyone around him is an enemy, he was so insecure, it was like being chased all his life.. Even before he died, he was afraid of being abandoned, he trembled because he was afraid of that. He was so lonely. At least the Chief Secretary was there for him, and he died near the sea that he loved. Maybe it wasn't death, but freedom. Just the sound of the waves and Yeo Jin Goo's acting... that last scene was perfect. It felt like I was sending off another actor. Yeo Jin Goo is amazing. Yeo Jin Goo's really good at acting... I get goosebumps the more I watch..
Why is Yeo Jin Goo so good at acting? Everyone's praising Yeo Jin Goo, but in the middle of that, the Chief Secretary is really good too.... Every time he looks at the crazy king pitifully with tears in his eyes, those deep eyes... Seriously, I can only get immersed when people who are good at acting does it. Ah, actor Kim Sang Kyung's tears.. Isn't his acting crazy? Really, it was so sad whenever Jin Goo spoke.... I wish you were my father. I will remember this scene for a long time... I cried together with him when the Chief Secretary bowed. Article: Naver 'The Crowned Clown' Clown Yeo Jin Goo to Kim Sang Kyung, "I want to become the king." Yeo Jin Goo's acting is really good..... It's no joke. Yeo Jin Goo's acting is insane.. The ending was amazing. The ending... The sound of the waves and Yeo Jin Goo.. The directing, actors, editing, they are all artistic. I had goosebumps at the end when I saw Clown Yeo Jin Goo acting like King Yeo Jin Goo in the preview. Yeo Jin Goo's acting is the best, but Kim Sang Kyung's acting skills are the best too. Yeo Jin Goo's acting is amazing. Kim Sang Kyung's role is heavy too.. At the end when Gwang Hae died near the sea, the directing was good during that scene.. This drama cannot be missed..
Do the two gold turtles have a relationship? Does the king collect gold turtues? Or maybe both are only one ? Will the turtle have an impact in the story to come? it is half of the whole episodes and look at those praises! so amazing I believe the rating will keep on soaring... this drama is indeed even better than a movie... when I look at how the BTS videos so full of laugh.. jokes and chill manners of all actors and the hahahahahaha laugh of the director ( a woman ) I was like.. how in the world they managed to create such a hand in hand atmosphere in the drama? wow... ige jjinjja... these people are TOP PROs! and then I’m tellin my self... this is why you spent 22 years watching korean dramas..
yup.. I will watch it until I die..
the Crowned Clown is a blessing to me... a Kdrama pilgrim. I wonder if rating's will fall with him dying that character was bringing alot of attention and thrill from his acting. Nooooooo . Poor LH and even on his birthday. His own words came true. He said some people are born this day and some people die. Secretary Chief Lee has crossed the line big time. I can't believe it was him who poisoned Yul. No wonder the scene where LH and Secretary Chief Lee sitting together in the cave looked familiar. I gave him the benefit of doubt when I saw LH eating the food saying in my mind that, there is no way the food is poisoned and he will never do that to his own king. However, he went ahead and gave LH a poisoned drink . 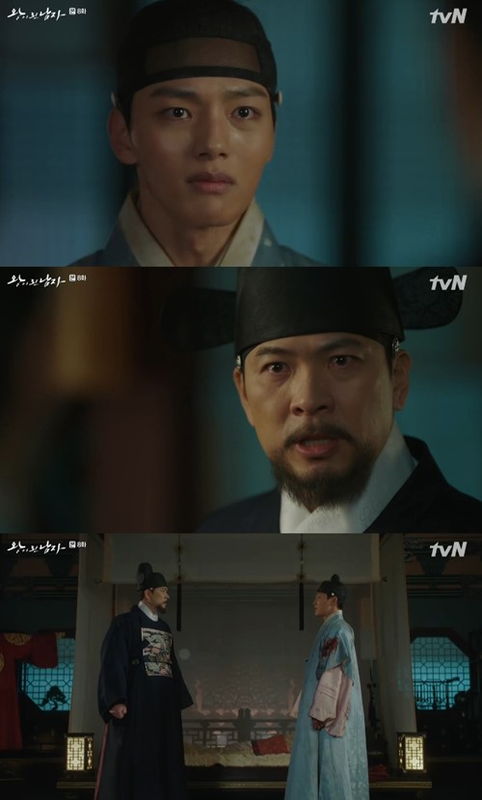 The way Secretary Chief Lee shed tears and the level of respect he showed when the king lost his breath was Daebak. You won't think he is the one who took his life. Amazing acting for both of them. Now this was the spoiler they were talking about and I'm glad they accepted the script. It's absolutely mind blowing. I'm still not done watching with subs... but I am still in shock. Yi Heon lived his entire life in sadness until it consumed him with no way out. Be free, Yi Heon. With Yi Heon's death, I find it hard seeing a happy ending for the characters. It's one thing to see Sowoon react about finding out about Haseon's true identity while the King lives, but with him gone for good, it changes the game. Unless, Haseon and Sowoon end up leaving the palace for good and live as commoners... but who will be in the throne though? Kudos to the writers for actually taking such a huge risk only halfway through the drama. Where will go from here? Watching the making is indeed a good breather from the intensity of the drama. Thankfully there's so much laughter on-set. When YJG and LSY were filming the bedding scene, LSY kept on laughing so much, the director said: "Why are you enjoying it so much? You enjoy it. You enjoy it a lot!" Whoah whoah.. the last scene. Is the royal court lady, right? And the one that is sleeping is Ha seon? But his attitude looks like the king to me. she must be checking whether he is the real king or not since she saw the wound in the real king’s ear. OMOO for that intense bed scene, how can the two of them rehearse in playful manner. They are definitely a pro. And love how LSY tried to do that scene by throwing herself to the bed. and the beach scene.... I am still in denial that they kill the King character. 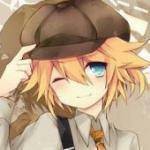 @annie1234 Yes, that has got to be Haseon. But damn, that should be his best Yi Heon performance since Day 1! Hahaha. Looks like Court Lady Kim will try to confirm his chest scar (which Haseon already has) because she already started having her doubts, but Haseon stepped it up this time. Ok, I caught with all the episodes yesterday and yet to watch ep.8 with subs. YJG- . I really felt sorry when LH died. Oh, Kim sang kyung, I watched him last in What's with my family paired with kim hyun joo. He is total opposite character here from that. I love all the characters. And the last scene of the preview for ep.9. His gaze and sitting posture was just like LH. AWWWW. YJG FTW!!!!!! Hooray for the ratings and hope it goes up. Omg, that’s what Lady Kim gets. Karma is a CLOWN. And is SCS trying to team up with JP? Noooo, I really like the three way fight between the Dowager Queen, SCS, and the Clown. It’s way more fun. (Unless SCS will betray JP in the end?) And having two go against each other sides feels a bit... redundant? Anyways, I’m more curious about that mini army that Queen Dowager has set up. And I’m still in shock that YH is actually dead. I wanted a redemption arc, but at least this is better (sad, I know) than making him crazy and insane for another 8 episodes. Man, the scenes in the cave/beach was heartbreaking. Watching YH struggle to eat and talking about the king to coughing up blood and talking about his little brother, ugh TCC whyyyyy. Lee Kyu is the character I wanted from the start. Layered and grey, not just the perfect, good helper on the king’s side. He wants a good Kingdom, but at what cost? Kim Sang Kyung does a great job and I can’t be more happy. Okay... YJG just knocks it straight out of the park. This is THAT role. I mean, watching the scene over, you can see the pain, sadness and desperation in his eyes in three seconds before he falls over. And the way his body was coughing up blood as he tried to talk, I don’t know how but I FELT THAT. HS and YH are two different people, but it’s the same YJG! You can see a big difference between the two, and the mood of the scene changes too. How will Yi Heon's death change Haseon? Yi Heon was also once a great man with a potential to be a great leader, until he became so messed up due to the death of his brother. Yi Kyu killed Yi Heon's brother for Yi Heon's security for the throne. Now this parallels Haseon's case. Yi Kyu also saw so much potential in him, and now he kills Yi Heon who's also a hindrance to Haseon's leadership, to secure Haseon's place. He vowed to protect Haseon but he also once made the same promise once to Yi Heon. Ep 8 shows us that rather than loyalty to the king, Yi Kyu's loyalty is truly to the country and the new world that he's dreaming of. to me... death is a safe place for Lee Hun and he finally can be free from all..
I’m in tears while typing this... the tragicness is beyond what I expected..
death is Lee Hun’s freedom. I'm always and still in my denial like many others here, I always hope for an impossible twist to bring back LH lol!